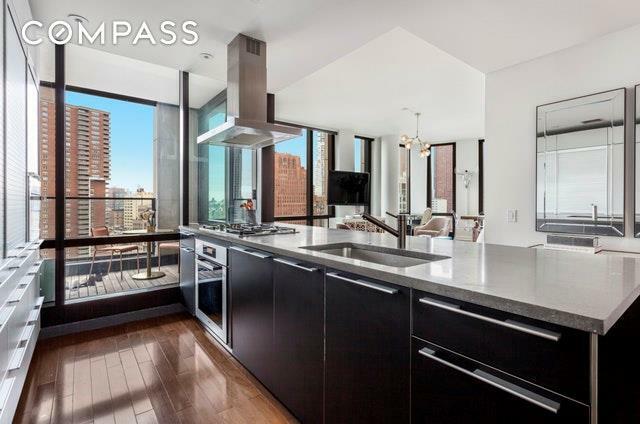 Rarely available corner unit at one of the most sought-after buildings in Tribeca, 101 Warren Street Condominium. 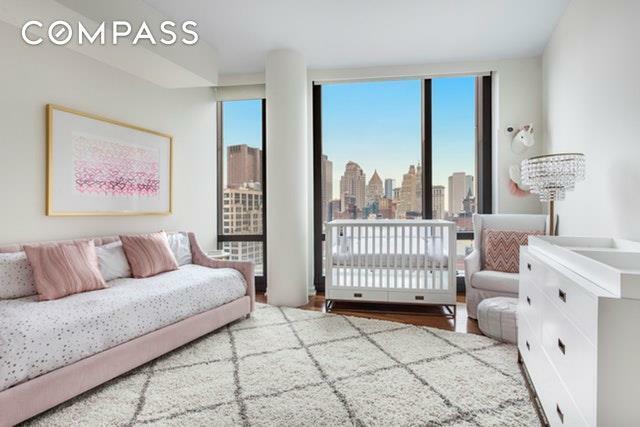 Expansive North East 1,762 SF 2 bed, 3 bath with a private additional 160 SF Exterior Loggia with glass walls and railing offering incredible city skyline views. With 10+ foot ceilings, electric motorized solar and blackout shades, walnut floors, a chefs dream kitchen with Sub-Zero and Miele Appliances, 3 sumptuous baths finished in Imperial Danby marble and Bianco Lucido tile, Dornbracht fittings, recessed cabinets and frameless glass shower enclosures, no details were overlooked! Tenants in place until 4/2020 paying $12,500 per month. 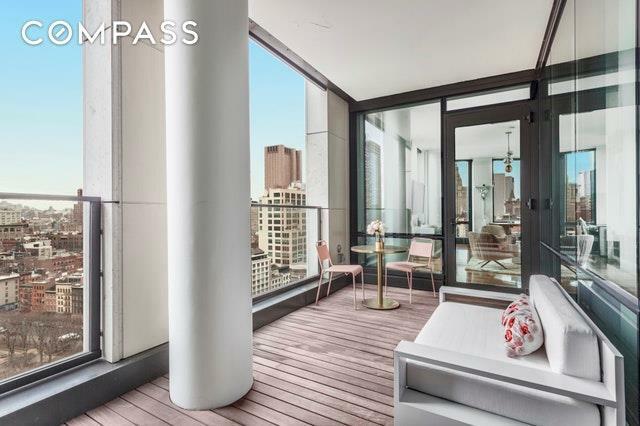 Tenants may potentially leave before the lease expires if the buyers wish early entry.101 Warren is one of the finest full service buildings in the heart of Tribeca. 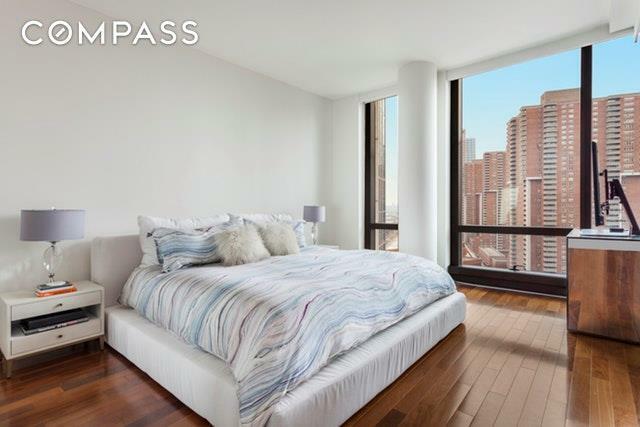 Enjoy attended parking, a media center, indoor/outdoor children's play area, fitness center, screening room, Bloomberg Financial lounge, spa, common outdoor space, 24 hour doorman and concierge. Right downstairs from your new home, you have Whole Foods Supermarket, Barnes & Noble, Bed Bath & Beyond, Palm Restaurant, and endless shopping and transportation around the corner!